In every episode of Hello PhD, we explore science training and life in the lab. But for every scientist, that saga begins with a grad school application. Whether you’re ready to apply today, or would like to apply to a graduate program ‘some day,’ we share a few tips and tricks that will make the application process simpler and more effective. A grad school application has a few basic (but vital!) parts. 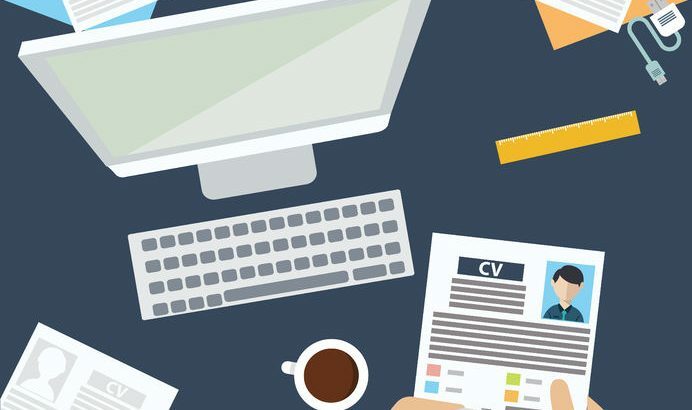 The core of your application is your Curriculum vitae (CV). You’ll use it to list your educational experience, and more importantly, your research experience. The admissions committee will want to see evidence that you’ve actually had some success in the lab before you enter grad school. Why is this so critical? Look at it from the committee’s perspective: You have a stack of qualified applicants and a limited number of spots. Would you take a chance on a student who claims to ‘love science’ but has never picked up a Pipetman? Or would you choose the student who has worked in a real lab for 3 semesters? This section strikes fear into the hearts of applicants. Is this supposed to be a story about getting your first chemistry kit when you were nine? A detailed description of the experiment you did last summer? A love-letter to science? We unpack each of these ideas in this week’s show, but keep in mind that your statement must be specific to the program – a form letter will not catch the committee’s attention. Hey, remember when we talked about how important research experience is in your CV and personal statement? Well, it’s important in your letters of recommendation too! Make sure at least one of your letters comes from your research advisor. It’s great that your chemistry professor, dentist, and Aunt Mary think you’re a wonderful student (and devoted flosser), but the committee wants to hear what your lab supervisor saw in your work and your potential. Unfortunately, you can’t take a ‘do-over’ on that terrible semester Freshman year. Your transcripts are fixed, but more important than the GPA is the trajectory of your grades. While you may have a bad semester, the committee will look for those grades to improve over time, and to see that you took, and succeeded, in classes related to your field. And while we don’t like it, the GRE is a requirement for admission to many programs. (Here are a few that don’t require it!). In most of the science grad programs, your quantitative scores will count for more than verbal, so be sure to study before the test. Regardless, a middling GRE score shouldn’t preclude you from applying to, or entering, a graduate program. They’re growing less relevant by the day. Be sure to tune in to this week’s episode for a much deeper dive into the grad school application process, including how it’s different for international students. If you’ve got a tip to share, leave it in a comment below, or find us on Twitter and Facebook! In this week’s Science in the News, we learn about how totally wrong your mother was when she told you video games would rot your brain. Turns out, they do just the opposite! Plus, we sample some beer sent by a listener from across the pond. It’s the Flensburger Pilsener from the Flensburger Brauerei in Flensburg, Schleswig-Holstein, Germany! Yes, we have an amazing and generous audience, and yes, this is what beer is supposed to taste like.